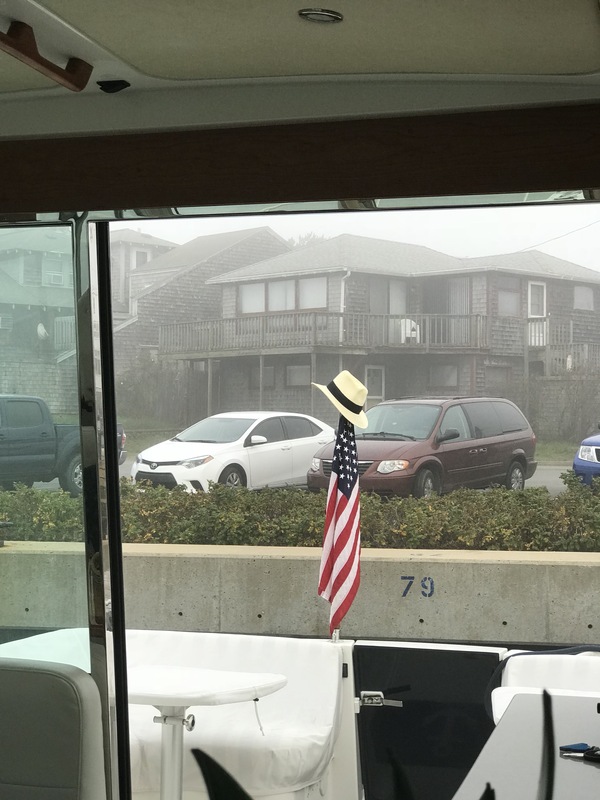 Our quick overnight trip to Oak Bluffs became an adventure when we woke up Wednesday morning to near zero visibility in the fog. I was hoping it would burn off like it did on Tuesday but it looked darker. Still, it was a little erie and beautiful at the same time. Oak Bluffs seems to have become a major recipient of infrastructure funding. There is an incredible new boardwalk that runs from the jetty to the ferry pier. There is also a new very nice long fishing pier just off the boardwalk. Just south of the jetty there is another pier being completely rebuilt. It has a dedicated team of rubbernecks and their own pile driver barge that moors every night in the basin. As I was drinking my morning coffee, the barge headed out to work in the fog and I captured a little video. 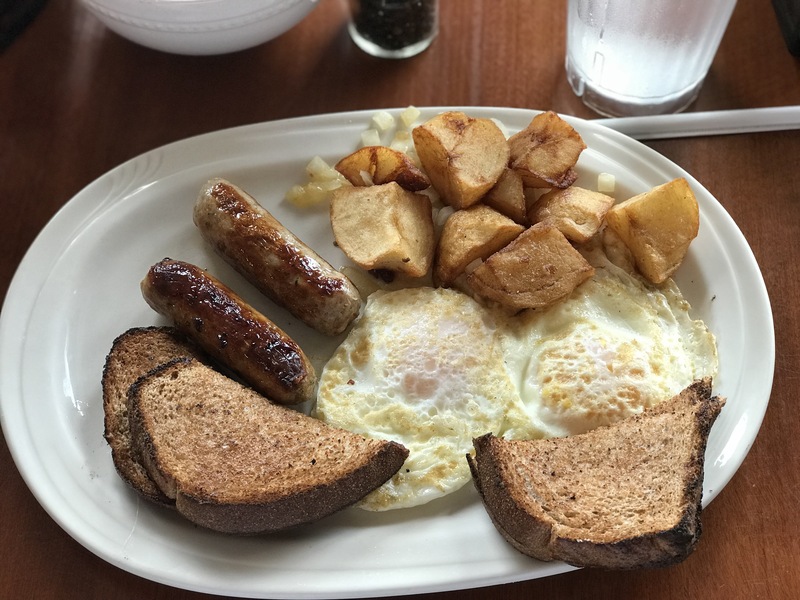 Realizing we could only return home by instruments and knowing how scary that is in Woods Hole, we decided to take a walk in search of the best breakfast venue in town. With a little help from Yelp, we zeroed in on Linda Jeans and hit paydirtt. 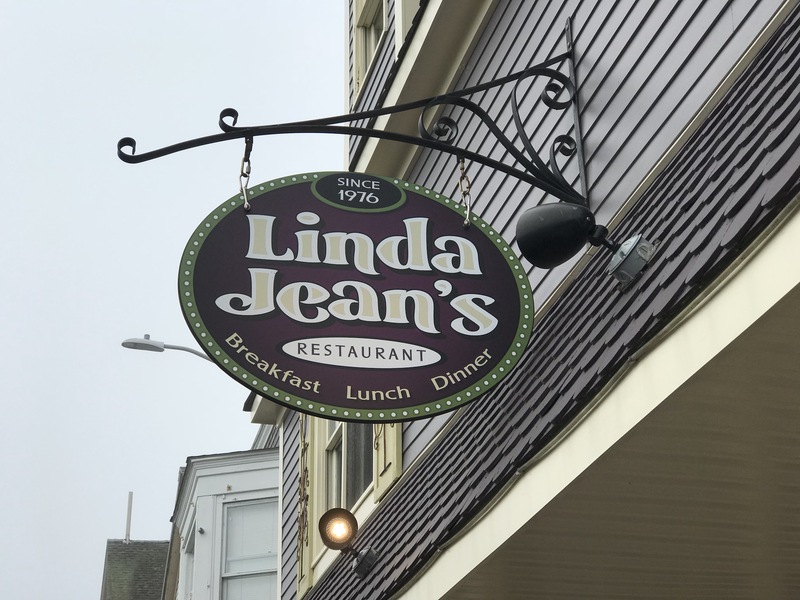 Although it looked and felt new, Linda Jeans is run like a great family restaurant of days gone by. Following the instructions on the sign, we seated ourselves and a uniformed server quickly appeared offering coffee and menus. After breakfast Mrs. Horne and I took Daisy for a long walk. Although the fog obliterated any ocean view, the commons and the village were really beautiful in the mist. Since it’s a flat island, it’s perfect for a 1-2 hour “power walk”. Autumn is always a great time to shop in New England seaside towns. There lots of sales and shop keepers are happy to see you. Needless to say, Mrs. Horne found a store with nothing on sale and picked up gifts for the grandkids. After our walk I checked in with the marina just to confirm that the 12:00 departure rule had been suspended. It had. I asked the Dockmaster when I had to decide whether we were staying for the night or leaving and he said “whenever, don’t worry about it. After reading for a few hours, we decided it was time for lunch and gave the Lookout Tavern a try. This is a really cool spot with a deck and row of bar stools looking out on Vineyard Sound. 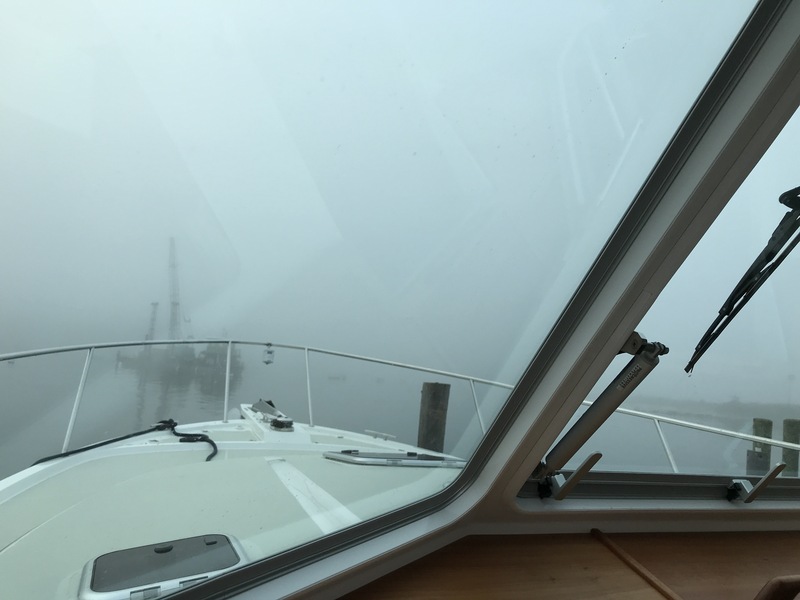 And even though the visibility was down to hundred feet, the entire deck was packed. In fact most of the restaurant was packed. We got one of the few tables left and ordered a couple of beers. 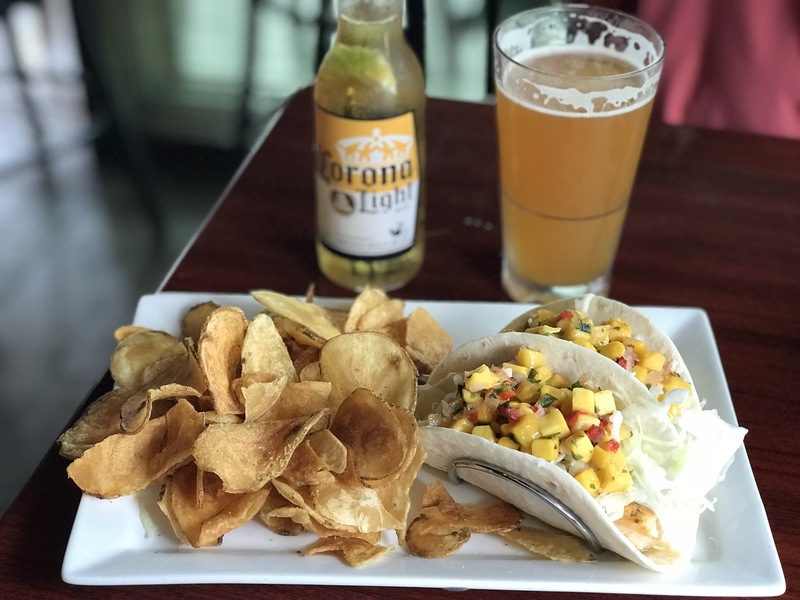 We split the Blackened Mahi-Mahi taco for lunch. The taco was fine, but the homemade potato chips were the real star. I really liked this place. It’s bit like the Seafood Shanty in Edgartown or the Bar at the Oar on Block Island. Given the other places we tried in Oak Bluffs for dinner, I think I may visit here next time for dinner. Mrs. Horne finished her James Pattterson thriller and decided to look for a new book to read. We have 5-6 books on Vigilant’s bookshelf, but none suited her. She called the local bookstore, but it was closed for the season. Meanwhile, the sun was shining on the town, but the sea was still socked in the fog. With nothing to read, Mrs. Horne was anxious to return home. She kept asking me “what are we doing” and I finally said “at four we leave or pour” (meaning cocktails). At 3:55 I declared the trip home officially postponed and poured myself a Tito’s and Seltzer. Eventually we went to dinner. Mrs. Horne had gotten us a table at 20byNine for 7:00 and I was exited to see if it was as good Red Cat Kitchen. We loved the atmosphere and sat in by the bar. Our server asked us if we’d like a cocktail and Mrs. Horne quickly said “tall Tanqueray and Tonic”. “Oh, we only serve Whiskey and Wine” she said. Fine by me, but Mrs. Horne drinks neither and with that we left. By the way, Yelp says they have a full bar. The next stop was Jimmy Seas Pan Pasta. Mrs. Horne loves pasta, but after years of low carb dieting, I tend to serve it sparingly at home. 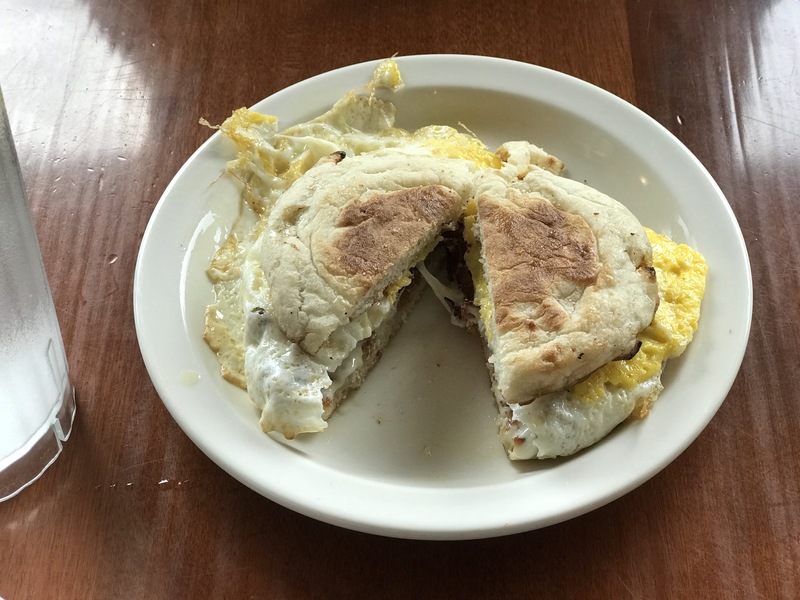 If you’ve been following My Buzzards Bay for a while, you may have noticed that my restaurant reviews are almost always very positive. This is not because I sugarcoat things, it’s because I use Yelp a lot and tend to stick to the top 5-10 ranked restaurants in town. Jimmy Seas was #22, but Mrs. Horne loves pasta, so what the hell? I started with an order for the STUFFED CHERRY PEPPERS with provolone cheese and prosciutto. It was literally inedible. The cherry was as hard as a watermelon rind and the cheese was ice cold. It was also very spicy. We split the FRUTTI DI MARE which the menu said was the “Chef’s favorite and house specialty! Shrimp, mussels, littleneck clams, calamari and scallops in our famous red sauce over linguini”. It was flavorless, the fish was over cooked and the calamari was rubbery. On top of this, the atmosphere was really bad. It looked like a cheap caricature of an Italian kitchen with bright bare lights. The waiter clearly hated his job as much as he hated us. The final insult was the bill. The gin and tonic was $14 and seafood pasta was $41. I’m not positive, but I think it was the most expensive restaurant in Oak Bluffs. After one more breakfast at Linda Jeans, The Sun came out and it was a beautiful day. You couldn’t tell it was September 28th, it was 76 degrees. 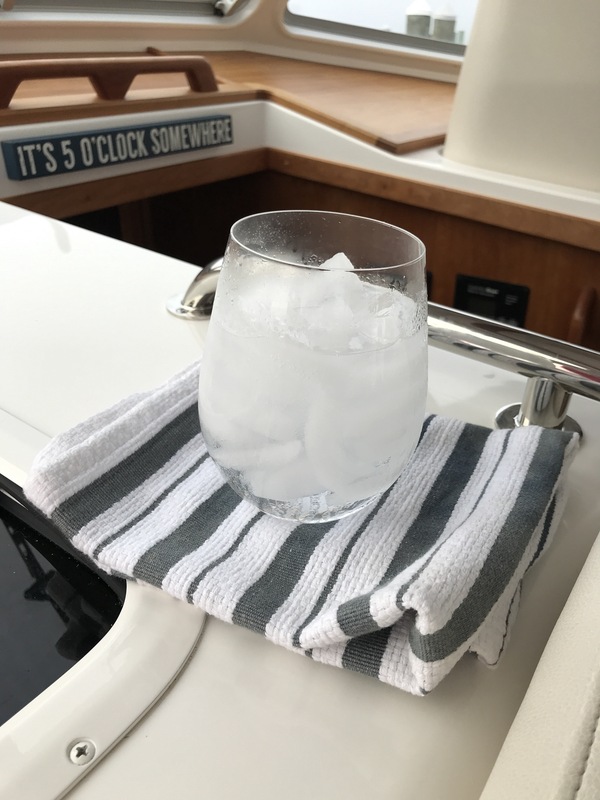 When we arrived at Oak Bluffs I noticed that my favorite straw had started to look down in the mouth and I decided to create a new end of summer tradition. As we cleared East Chop heading home I held my little end of summer ceremony. It may be the end of summer, but it’s not the end of Vigilant’s season. 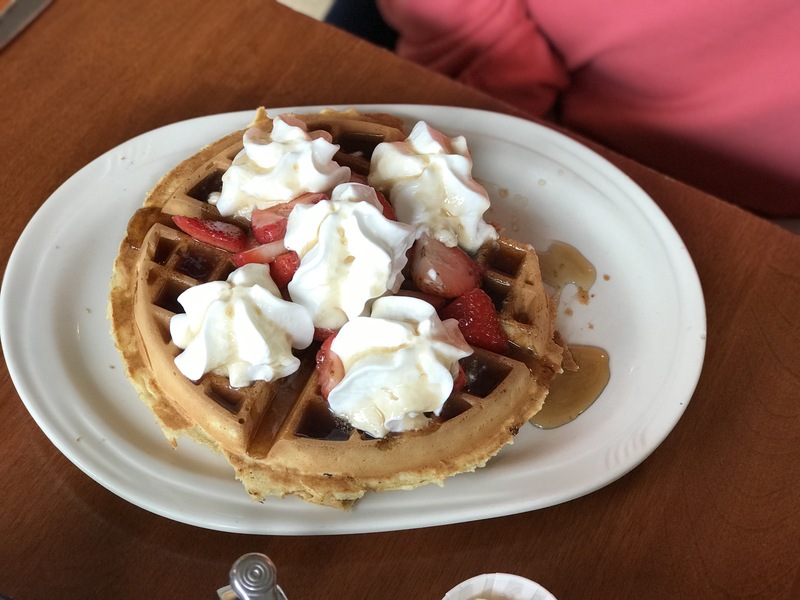 Gail and Rudy are coming down Sunday (after the Patriots game) and we’ll be heading out somewhere for a couple of more days on Buzzards Bay next week.